Oh Yeah! 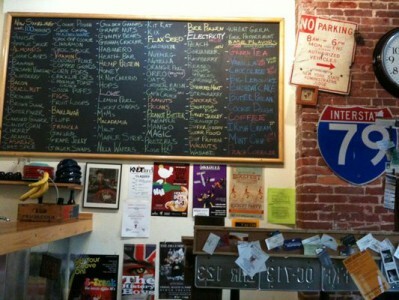 is home to vegan waffles, lattes and soy ice cream right in the heart of Shadyside. Bonus: they have ample outdoor seating for those rare sunny days that Pittsburghers enjoy :) It’s more a brunch place then a restaurant, but we’ve listed it because the vegan waffles are huge and OMG good!